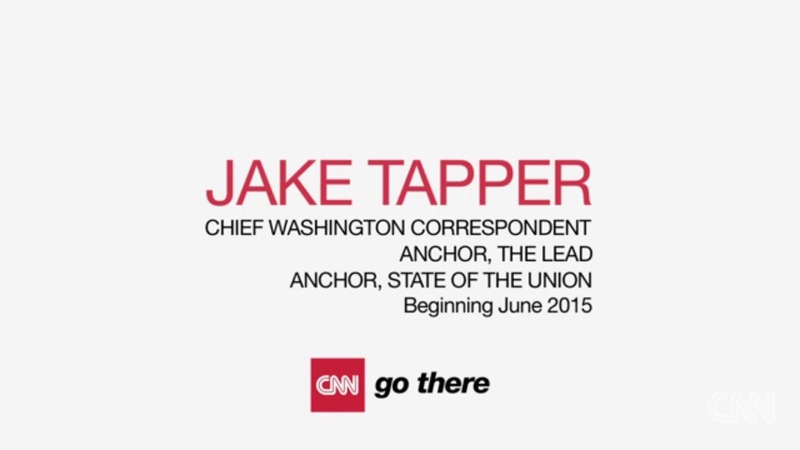 Jake Tapper was announced as the new anchor of CNN’s State of the Union. Tapper will continue to serve as Senior Washington Correspondent and anchor of The Lead on CNN, in addition to his new anchoring duties. He will begin anchoring on June. CNN Worldwide President Jeff Zucker announced the move today on the morning editorial call and CNN’s Brian Stelter, who serves as Senior Media Correspondent, reported the story. CNN also put out a highlight reel of Tapper’s work and said he would shake up CNN Sunday mornings. CNN’s Sunday mornings are heavy on politics and the international affairs. At 7:30, John King begins with Inside Politics, a panel of reporters breaking down political stories of the week. At 9 and 12 is State of the Union, for now the traditional Sunday public affairs show. At 10 and 1 is Fareed Zakaria GPS, an international affairs analysis show that has been described as one of the smartest shows on television. At 11 is Reliable Sources. The longest running program on CNN Sunday mornings, it began during the Gulf War to analyze war coverage, it has a relatively new host in Brian Stelter. CNN used to promote its Sunday mornings to political junkies with promos saying viewers could differentiate different acronyms. Tapper said, “‘State Of The Union’ has a rich tradition and I hope to not only build on its history but expand the definition of what a Sunday show can be.” He also thanked Zucker for his support. On air, he has thanked viewers for watching The Lead and has said he is honored and humbled by the announcement. This will not be Tapper’s first time anchoring a Sunday public show. For several years in 2010, Tapper served as interim anchor of ABC’s This Week in the period between George Stephanopolus and Christiane Amanpour. Tapper was seen as passed over for the position and left for CNN a little more than two years later. While at This Week, Tapper disrupted the format a bit. One change was that Tapper partnered with FactCheck.Com to fact-check statements made on the program. Tapper is seen as one of the most respected journalists in Washington. He has been praised by both Democrats and Republicans, one of the few mainstream journalists praised by the latter group.